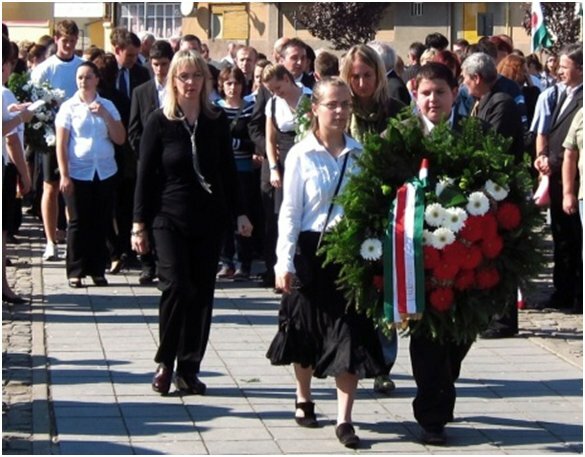 On October 6, commemoration events were held around Hungary in memory of the 13 Martyrs of Arad. 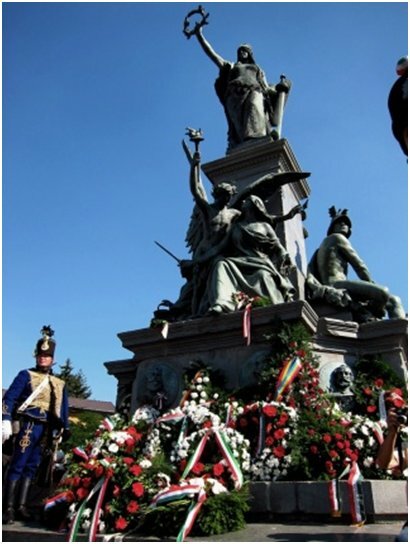 Hungarian communities both in Hungary and in neighbouring countries remembered the anniversary of the day when 13 generals and the prime minister of Hungary were executed after the fall of the 1848-49 Independence War. Traditionally, the focus of events in northwestern Romania is Arad, the city where the generals were executed. Hunor Kelemen (President of the Democratic Union of Hungarians in Romania) opened the ceremony at the Statue of Liberty. This year, the Parliamentary Minister of State at the Ministry of Public Administration and Justice, dr.Bence Retvary, the Deputy Speaker of the National Assembly of Hungary, Istvan Ujhelyi , the Hungarian Ambassador to Romania Oszkar Fuzes and the General Consul in Kolozsvar, Janos Magdo represented Hungary at the Arad commemoration. On behalf of the Minnesota Hungarians, wreath was placed by Csilla Grauzer (President, Minnesota Hungarians) and Timea Takacs (Secretary, Minnesota Hungarians) at the Statue of Liberty. The beautiful Statue of Liberty was created by Zala György and it was inaugurated in 1890, in the memory of the martyrs. After World War I the authorities removed the statue and it was boarded up, and it got back to its original place in 2004 from donations. The commemoration followed by a reception hosted by the Ministry of Foreign Affairs in the Office Building of the “Nyugati Jelen” daily newspaper.